For a limited time, Oklahoma Towing & Recovery will tow your vehicle up to 5 miles for the flat rate of $75! Our normal mileage rate applies after 5 miles. This special includes light duty towing only, 3/4 ton trucks maximum. It does not include any extra labor, crash scene cleanup, the use of dollies, vehicle recovery, nor any nonconsensual towing. Origin of tow must be within our service area. You must ask us for the “Flat Rate Towing” special at the time of dispatch. Call us with any questions about this special! 405-896-0606. See the table below for our regular rates. We get a lot of phone calls from people shopping around for price. We definitely understand the need to be competitive. We’ve decided that Oklahoma Towing & Recovery needs to be the first wrecker service in Oklahoma City to openly publish our towing rates on our website. These rates only apply to consensual tows. 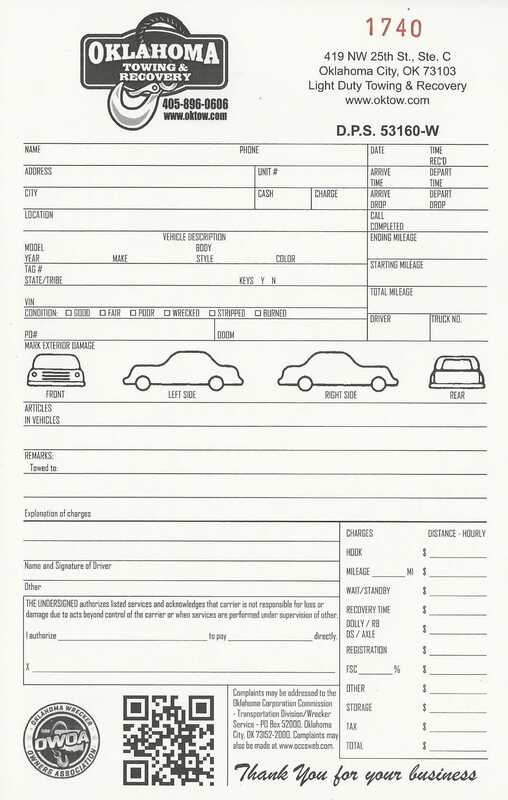 These rates do not apply to nonconsensual tows. Click here for an explanation of the difference, and for a listing of regulated nonconsensual towing rates. For most common light duty tows (Not all wheel drive, all tires are up and rolling), simply take the number of miles the vehicle is to be towed and multiply by $3.75. Add $75 hookup to this mileage charge, and add 8% to the result. Dollies would need to be used for certain four wheel drive or all wheel drive vehicles, or any vehicle damaged so that it cannot be safely towed with wheels on the ground. Sometimes, the best option is to remove the driveshaft, especially if the tow is going a large distance, or the vehicle is too heavy for dollies. Unlike our competitors, we do not charge a “rollback charge” when we use a flatbed car carrier for consensual towing. Extra labor would apply in situations like a broken ball joint, where the wheel and tire need to be removed, and the car skated onto the bed. This work is done to ensure that no further damage is done to your vehicle during loading, unloading, or transport. FSC is a fuel surcharge, authorized by the state to help offset increases in fuel costs. 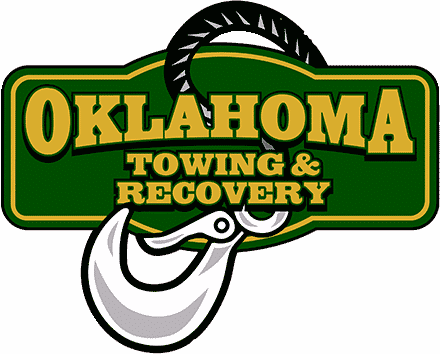 I would recommend Oklahoma tow and recovery to anyone in the OKC metro area! They are prompt and they actually give you a real time frame on when they will arrive to perform your service. The drivers are all top notch and the face company! Thanks again Oklahoma tow and recovery! I will only use your services from here on out!